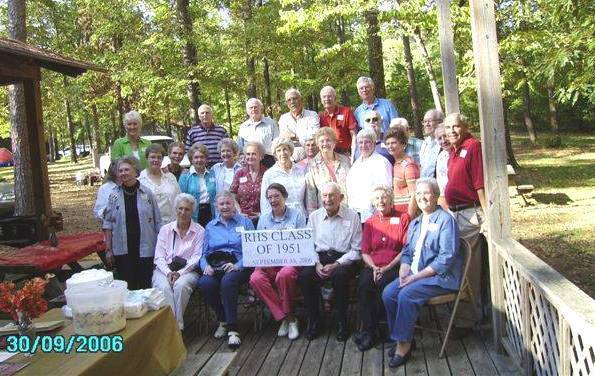 Members of the Ruston High School Class of 1951 gather at Lincoln Parish Park north of Ruston on September 30, 2006 for the celebration of their 55th graduation anniversary. The Lincoln Parish Park provides a great setting for such an event, and this day was no exception. Seated, front row, l. to r.: Ann Lewis, Emma Jean McLaurin Allen, Helen Knotts Shrell, Mr. J. E. Mitcham, Mrs. Marzee Mitcham, Margaret Nix Evans. Second Row: Mary Nell Russell Edward (face hidden), Betty Roberts Pierce, Mary Frances Adney Clark, Ann Ormand Adams, Jo Ann Frasier Barham, Ann Norris Stedman, Patricia Reese Edwards (face partially hidden), Barbara Colvin Johnson, Mary Lil Ledbetter Magruder, Norma Robinson Lyles, Elouise Mathewes Shaw, Mary Lillian Allen Belton, Gene Faulk, Barbara Sutton Kavanaugh, Joe "Bootsie" Davidson (face hidden), Neal Rann, Donald Hoogland, Pat McLane. Third Row: Ruth Anderson Albritton, Jimmy Colvin, Carroll Bailey, Brooks Bryant, Henry Monroe, Elvin Larance. Present but not in picture: Charles Bayne, Byron Richardson. 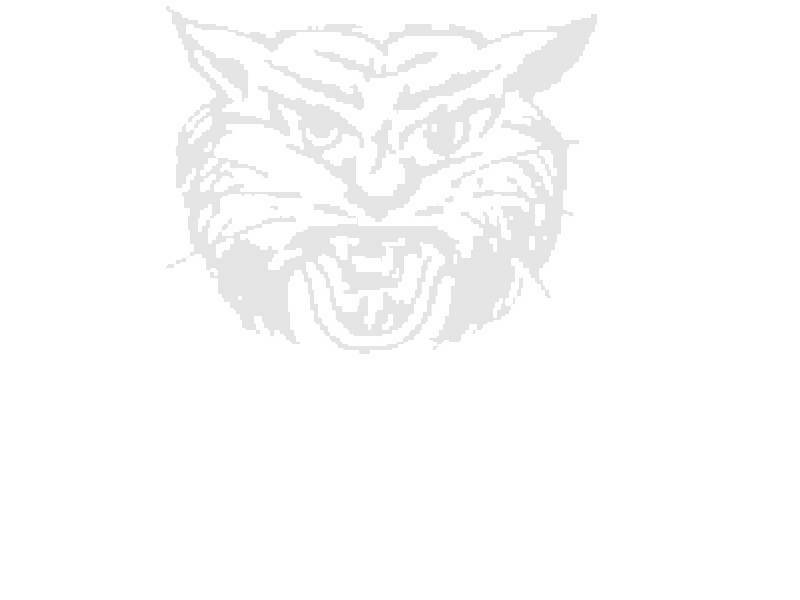 Copyright 2006, Ruston High School Alumni Association.